iPhones and programs that are related to iPhones aren’t always error free, plenty are seen mostly during when an update is attempted. These errors are all related to iTunes – the problem is either a faulty internet connection or malfunction in the base computer end which could be invisible to a regular computer user without advanced level tech literacy. However, unknown error 9006 in iTunes is pretty common. The error usually occur while downloading a iOS firmware via iTunes, and coded with error 9006. Here are six easy fixes which had proven to work like a charm in most cases and they don’t require advanced technology knowledge to solve iTunes error 9006. Is your computer connecting to the internet properly? A malfunctioning network devices like router, switch or modem could create a faulty connection. Few ports may be blocked; or the whole network may be down due to improper settings or corrupted firmware on your router. Whatever be the reason, check with the router whether it’s transmitting any data. Very often, a simple restart can solve many problem with the internet connectivity – you could simply give it a try. Internet port 80 and 443 are common for many internet application. From Skype to iTunes – many software could use these two ports for basic communication between the software installed on your computer and their respective servers. Due to some network settings, 80 and 443 ports could be blocked on your computer or they may be occupied by something else. Ask your network administrator to check whether these two ports are working. If you have some sort of server like WAMP or XAMP installed on your computer, you might also check if these programs are occupying the ports 80 and 443. Check if an antivirus program on your computer is blocking iTunes activities. These programs monitor which software on your computer is transmitting data over network connection. Anything that’s beyond browsing internet through a regular internet browser could fall into the ‘suspicion’ list, happens usually with a backdated version of antivirus program. For flawless computer operation, the antivirus program should be updated to the latest available version. Alternately, you could temporarily turn off the network protection shield to proceed with the update. Now connect your iPhone to the iTunes and try to Update / Restore it. If you followed the steps correctly, this method will fix the iTunes unknown error 9006 problem. Add iTunes to the Exceptions list on your Firewall program. By default, during installation this would be added to the firewall program. However, a corrupted registry or faulty installation could result in such issues, which is easily solvable by adding iTunes to trusted program list. You may even update your firewall or security suite program to the latest one available. Update your computer to the latest OS, if possible. If it’s been a long time since your last OS installation and you feel there has been plenty of registry issues, you could do a fresh installation of your existing OS as well. Also, make sure you are using the latest version of iTunes. After checking that, connect your device and try to restore it. 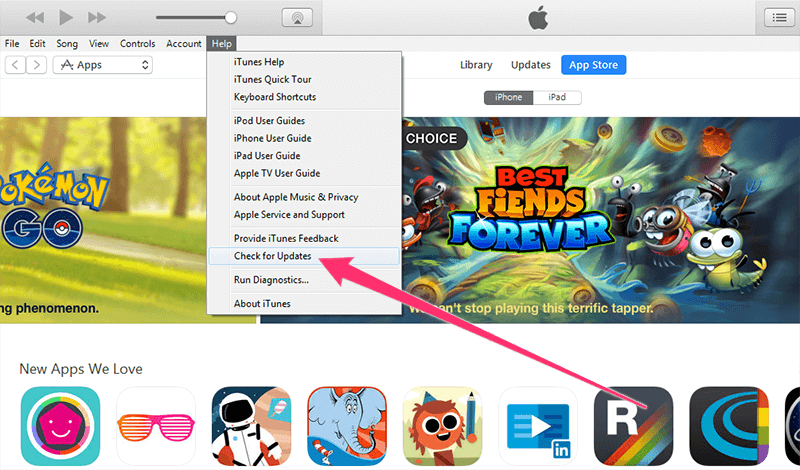 This method will help you to fix iTunes error 9006 and complete the iOS update procedure. If none of the above methods do not worked for you, then download the latest IPSW firmware file for your iPhone from our downloads section and do a iTunes restore by selecting the downloaded firmware (Shift / Alt + Restore). This method will 100% fix error 9006 in iTunes. Conclusion: Most of these iTunes errors are caused by a poor internet connection – hence the basic goal of troubleshooting iTunes error 9006 should be repairing the glitch in your internet connectivity or restore your device on another computer.